A well-tended, 400 square-foot garden will feed a family of four. 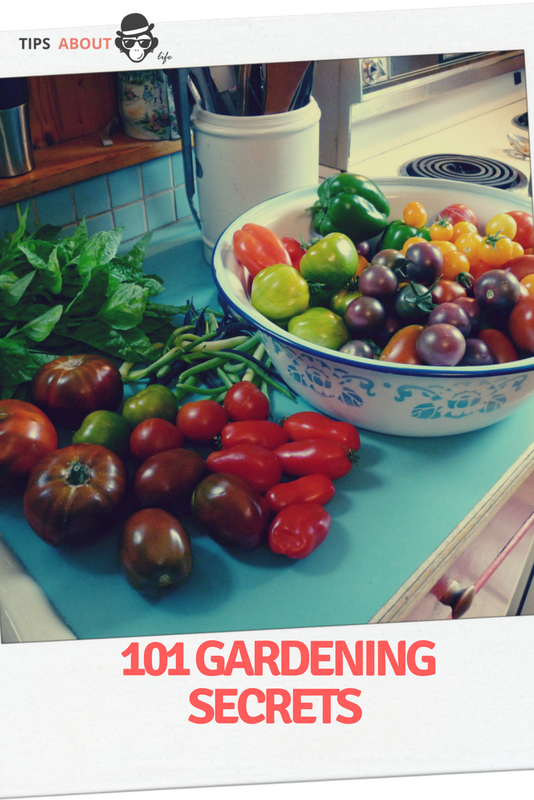 The trick is planning, planting, tending, and harvesting that garden right. 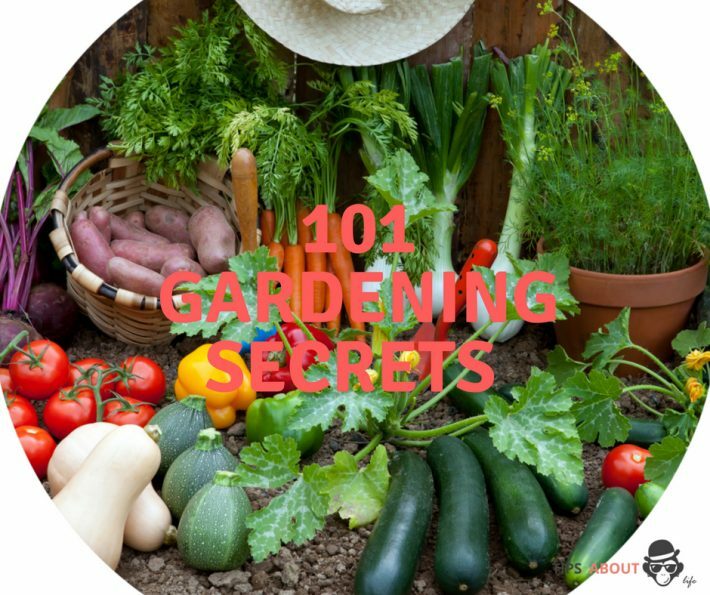 Below, you’ll find everything you need to know to maximize your garden’s production—everything the experts don’t tell you! I like to use natural topsoil to start my garden seedlings in. I usually don’t use potting soil, because it generally does not produce the results I want. I fill a large, deep baking pan with top soil and bake it for thirty minutes at 350 degrees. This sanitizes the soil and ensures that no unwanted weeds or grass will come up in your soil. I usually start on this project in the winter, and I fill up a couple of large plastic barrels with lids with the sanitized soil. 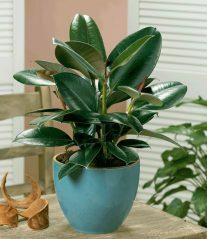 If you want to root a plant or cutting in water, add an aspirin or two to the container. Buy a cheap bottle of aspirin and grind it up before you add it to the water. This will aid in water absorption and will help the cutting to start roots. You can easily start plants from cuttings from roses, saliva, and geraniums. 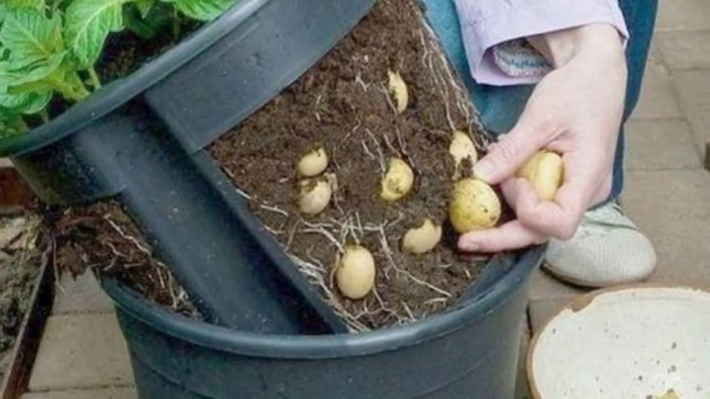 Just dip the cuttings into a rooting hormone, then put them into potting soil. Spray the cuttings several times a day with water until you are sure they are rooted. Hibiscus are also easy to root this way. Use tomato cages or wooden stakes and garden twine to tie your tomato plants up and give them support to keep them from getting blown over by the wind. If they aren’t supported, they won’t produce nearly as much and may develop fungus diseases if the plant is laying over on the ground. Purchase motion-activated sprinklers. If the deer or other animals go near them, the sprinklers activate automatically and run them off quickly. Deer and most other animals don’t like to be sprayed by water. Sometimes something as simple as hanging up tin pie pans around the garden can keep the deer away. You will want to hang the pans so they swing freely and make noise. Move them to another spot about once a week to be sure the deer don’t become used to them and just walk around them. Hang up noisy wind chimes. As with the pans, you’ll want to move them every week or so. When you boil or steam vegetables, don’t throw the water away. After it’s cool, use it to water the plants you are growing in containers. You’ll be surprised how plants respond to this type of water. The quickest and best place to dry herbs is on a few sheets of newspaper on the back seat of your car. The herbs will dry out quickly, usually in one or two days. Don’t be afraid to grow your own kitchen herbs. Most herbs are easy to grow and you’ve never tasted anything as good as your own homemade pesto sauce. I grow purple heirloom sweet basil and it is so delicious. It also gives a wonderful smell to my garden. 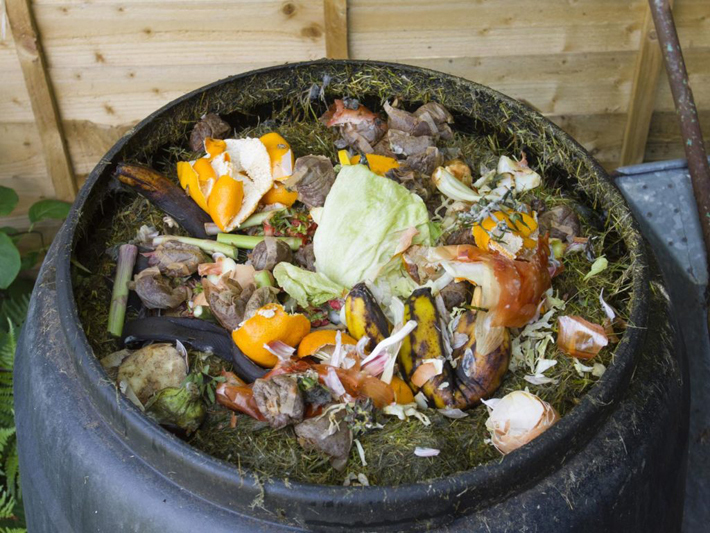 Don’t forget to compost what you don’t use. Do you stir fry? You should if you don’t. If you do, try using things like immature broccoli, baby squash, and tiny eggplants. You won’t believe the wonderful flavor of these tiny baby vegetables. Don’t be afraid to pull baby green onions to add to the mix. You can come up with some wonderful flavors this way. If you grow an abundance of cayenne pepper, keep it picked off green and keep adding it to a gallon ziplock bag in the freezer. If you wish, go ahead and cut the stems off before you freeze the cayenne. (Don’t forget to use those stems to enrich your soil.) You can add a tablespoon or two of fine diced green cayenne to soups and stews to add spice and flavor. If you’re going to be growing a garden every year, you should learn how to can as soon as possible. 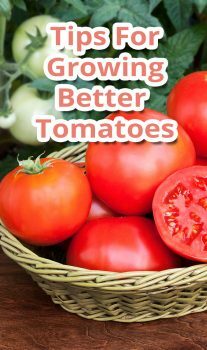 Growing and canning tomatoes is easy and very satisfying. Do some research and learn everything you can about canning and preserving what you grow in your garden. If you don’t have one yet, purchase a food dehydrator to preserve your vegetables. You can make wonderful sun-dried tomatoes this way. You can dry almost any kind of fruit or vegetable and if you do it right, you’ll end up with delicious treats. Store them in a tightly-covered container or freeze them in a large ziplock bag. 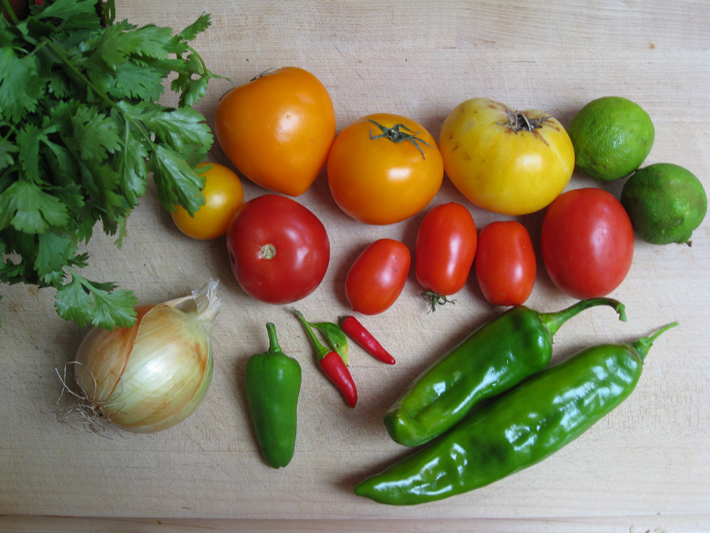 If you make a dried mixture of tomatoes, peppers, squash, and onions, you’ll have the perfect soup mix. Add the dried vegetables to chicken or vegetable stock and you can quickly have a delicious soup. Add pasta and fried hamburger for a delicious stew. Be sure that you carefully read the instruction book that comes with the dehydrator. Save all your banana skins and let them dry outdoors. Plant them at the base of your tomato plants: It’s like giving your tomatoes a pick-me-up and will encourage growth. You can speed things along by pureeing the banana peels with water in a food processor or blender and then pouring this around the base of the tomato plants. Canning is the preferred method of putting up your garden veggies because cans don’t need refrigeration and won’t spoil if the power fails. The next best solution is to dehydrate as many of your fruits and vegetables as you can. And if you plan to store a lot of fruits and vegetables you should have a small chest freezer. You can make things like squash casseroles or zucchini bread to freeze for later use. Make sure that you date and label each item so you know what it is and how old it is. Take all of those peelings and vegetable scraps and run them through your food processor, then sprinkle this in your soil to feed your growing plants. Peppers especially love this and will grow and produce bumper crops when you feed them this way. You can also shred your daily newspaper and add the shredded paper to your compost bin. It will help you to have healthy compost and will help to retain the soil’s moisture. Always plant marigolds, especially near tomatoes and cabbage, to keep garden pests away. When planting rows, measure off three feet on your garden hoe with a permanent marker so you can measure this distance off between each row. If you’re going to use your garden tiller to keep the weeds down, you’ll need to have at least three feet between your rows. Keep your plants healthy by anticipating the plants’ nutritional needs. You’ll most likely need to add fertilizer while your plants are growing. This is where research is important. Always keep a journal with detailed notes that you can refer back to later. Be sure to use tomato cages or sturdy stakes to provide support for your tomato plants. If you don’t, your plants won’t produce nearly as many tomatoes and they may catch diseases. It’s important to plant only the varieties of vegetables that grow well in your area. At your local farm or garden center, ask what varieties do well. When you plant things like radishes or carrots, mix the seeds with powdered, unflavored jello. Add three tablespoons of gelatin to one pack of seeds, then plant. The gelatin will provide the seedlings with needed nitrogen. If you don’t believe it, you can try an experiment: plant some with and some without. The ones planted with gelatin will be much healthier than those planted without. Ideally, your entire vegetable garden should get at least 8 hours of full sun a day. Most vegetables won’t do well even in partial shade, so be sure to plan your garden where it will get as much sun as possible. Did you know that you can grow luffa gourds and have your own natural sponges that are better than any dish sponge you can buy? Plant them in full sun and allow them to mature completely. In the fall, dry out the gourd and cut the shell away. You’ll end up with luffa sponges you can use to wash your dishes with (or your body in the bathtub). And they are environmentally friendly. You can easily grow birdhouses in your garden. All kinds of birds will make nests in gourds, and your kids will love the fact that you’re growing birdhouses in your garden. If you want to harvest your vegetables early, plant radishes, sweet peas, beans, squash, and cucumbers. Put a ball of gardening twine in a clay flower pot with a hole in the bottom. Bring the end of the twine out the hole and turn the pot over. Put it in a convenient place in the garden and you’ll always have gardening twine available when you need it. Try to plan to harvest your vegetables in the morning when the veggies are packed with nutrients. You can preserve the flavor and nutrients of leafy green vegetables by chilling them in the refrigerator, but don’t put onions or tomatoes in there. If you do, they will lose some of their flavor. If you harvest your squash on a regular basis, when they’re still small, you’ll be rewarded with twice as many squash as you would have if you allowed the squash to mature. They are so delicious when the seeds in the squash are very small. Most in-ground plants need one to two inches of water a week. Buy a rain gauge so you can keep a eye on how much natural moisture you’re getting. If your soil feels moist to the touch, it’s okay, but if you have dry, powdery soil, you need to water. Just be sure to water with a soaking sprinkler and do it when their is no direct sun. The ideal time to water is before the sun comes up or after it goes down. If you grow herbs like basil, cut the top third of the plant off every time it tries to bloom. This will encourage the plant to keep putting on more foliage which you can dry and use in the kitchen. If you’re going to be using dried herbs sooner rather than later, store them in a brown paper bag tightly closed in the freezer. If you have lots of fall leaves, don’t discard them. Instead, put them into a big compost bin. In a year or two, you’ll have ideal compost. You’ll need a hoe to use to chop or hoe weeds up out of your garden. The one mistake a lot of gardeners make is letting the weeds get ahead of them and then they can never get back control of their vegetable garden. As soon as your vegetable plants are large enough, put mulch around them to prevent weeds from coming up. Weed early and often. And once your vegetables start growing, mulch your plants heavily to keep the weeds out. Don’t let your garden get overrun with weeds or you will lose control. Put down sheets of newspaper around plants before you put down mulch. The newspaper will insure that weeds and grass can’t come up. Vinegar is a better weed killer than most commercial products, but don’t spray it on your vegetable plants because it will kill them, too. If you have weeds or grass coming up in cracks in cement, this is a ideal place to use vinegar, which will kill the weeds and grass and prevent them from coming back any time soon. If you’re using a string trimmer to cut weeds, spray the string on the weedeater with vegetable cooking oil and you won’t have problems with your string getting stuck or tangled. Unless you’re terribly afraid of spiders, let those like the golden orb weaver spider (aka writing spider) make a home in your garden. 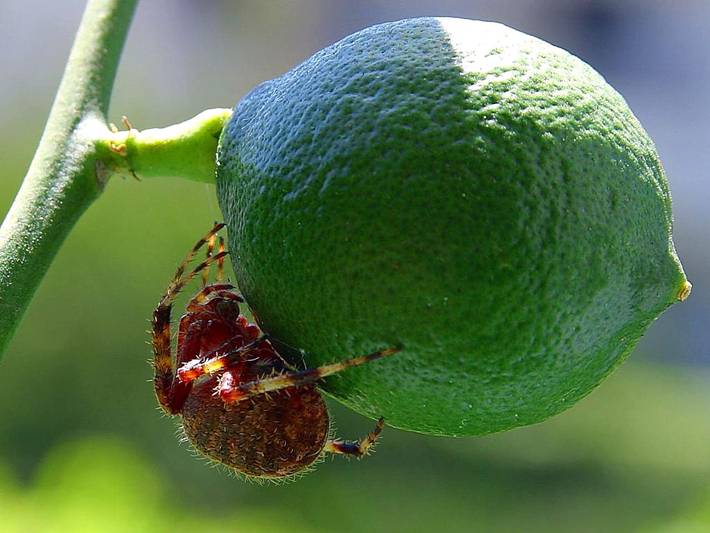 Believe it or not, every year spiders eat an amount of bugs that exceeds the weight of all the humans on earth. Some insects, like ladybugs and praying mantises, are great for your garden. If you’re having a rodent problem, try sprinkling ground cayenne pepper around the base of the plants that are getting eaten. This will keep them away like nothing else ever will. If you’re bothered by groundhogs, pour mothballs down their holes. Every time they dig a new hole, fill it up again. You can also pour red pepper flakes down their holes. -Repellant for rodents, deer, and snails. -Natural mulch that retains moisture, abets erosion, and deters weeds. -Fertilizer that adds a significant amount of nitrogen to the soil. Six to eight squash plants will provide all the squash you need for a family of four to six. You will need to keep the squash picked off and you’ll want to be gentle removing the mature squash. I like to pick mine while they are smaller than those you see in the store. If you do this, the plants will keep producing more blooms and more squash. If you stop picking the squash, they will get so big you can’t use them and the plants will stop producing more. You’ll need very thin wire mesh over your rain barrels or water tank to keep mosquitoes out. It’s very important that you keep your gutters clean to prevent leaves and debris from clogging the system. 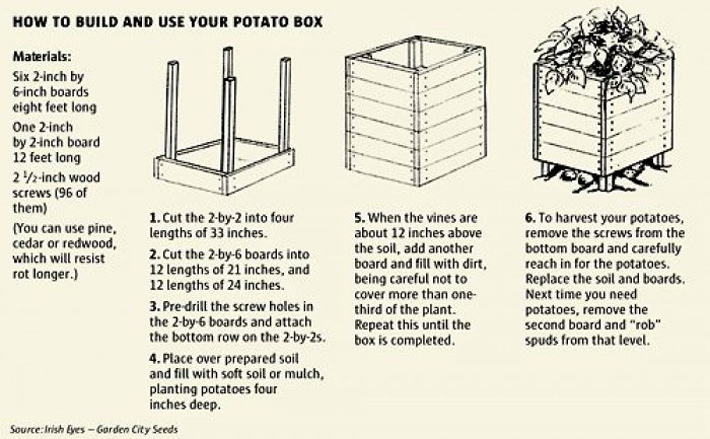 It’s very important to fill your grow box with a mixture of rich topsoil and well-rotted and aged compost or manure. You want to mix it at a ratio of 70 percent topsoil to 30 percent well-rotted compost or manure. You should know that the better your soil is, the better your garden will be. You should purchase and have a soil test kit to test your soil and know what you need to add to maximize your garden’s production.